A number of years ago, I read and wrote a review of a book about the author’s relationship with Mr. Rogers called I’m Proud of You. The two men only met briefly, but that kindled a long though distant friendship. One thing that I noted from the book was how this book, The Seven Storey Mountain , was a very important book to Mr. Rogers, so I added it to my wish list to read. 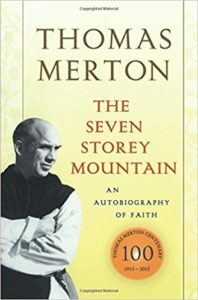 The book about Thomas Merton’s spiritual life started anything but spiritual.